National Wear Red Day - Duffy Group, Inc.
Duffy Group, Inc. has partnered with the American Heart Association and will Go Red on National Wear Red Day, Friday, February 1, 2013, to bring awareness of cardiovascular disease. Heart disease is the number one killer of women, claiming the lives of nearly 500,000 American women each year. 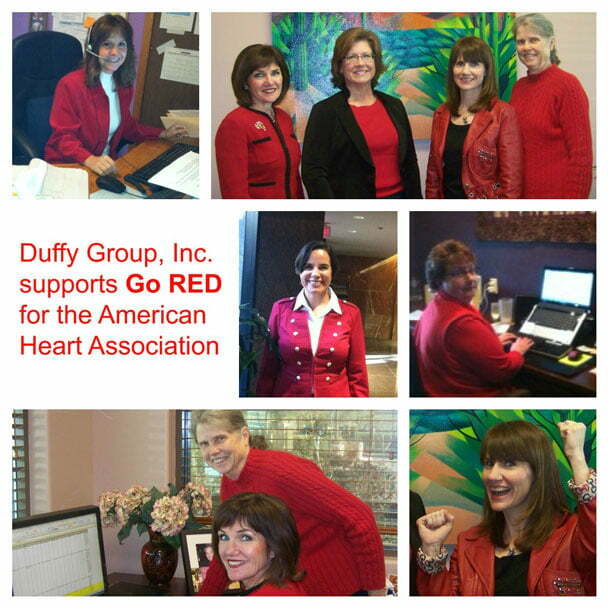 As a member of the Greater Phoenix Go Red For Women Campaign Executive Leadership Team, Kathleen Duffy Ybarra is committed to motivating women to take action to lead healthier lifestyles. Many Duffy Group employees are donning red as a show of support as well. To learn more about the Go Red For Women movement, visit http://www.goredforwomen.org.